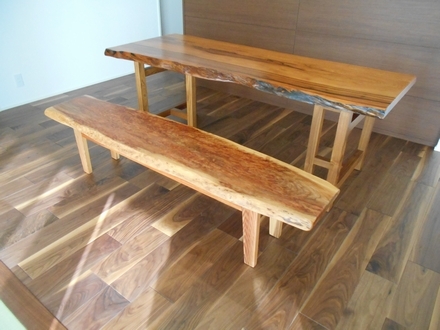 We delivered dining table made with Yakushima cedar slab. The legs are made of oak. The benches are made from "Chijimi pattern", a rare form found in cedar wood. The floor of this house was made from walnut, and the different woods complimented each other.